(Washington, DC) – (RealEstateRama) — The National League of Cities (NLC) announced the creation of a national task force to address how communities can better respond to the growing challenge of housing availability, affordability, investment, and quality. 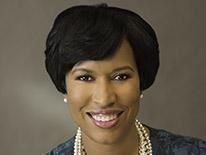 The National League of Cities Task Force on Housing is being created under the leadership of NLC President Karen Freeman-Wilson, mayor of Gary, Indiana, and will be chaired by Washington, DC Mayor Muriel Bowser. Comprised of 18 elected city leaders, representing a diversity of city sizes, geography, roles in their respective regions, and market types, the task force will develop a set of best and promising practices at the local level, as well as policy recommendations to federal and state governments.